What is Unmanaged Host Service? An Unmanaged hosting service is generally preferred by Businesses and IT professionals who have the knowledge to run and set up the server. In an unmanaged hosting service a web host will be setting up the server and installation of the Operating system. Thereafter the control of the server is given to the customer who will be configuring the softwares that will be required to set up and running of the server. It will be the responsibility of the customer to fix the errors in the software and to to keep the software up to date. In an unmanaged hosting service the web host has no responsibility in managing the servers it has the only responsibility of proving the physical hardware and ensuring a proper internet connectivity. Without a good technical knowledge it is impossible to imagine a successful business. Running an internet related services requires a sound knowledge and understanding. When it comes to running services that is IT enabled choosing a good web solution for your business is an important task. Nowadays when starting a business, most of the professionals look for a web host that offers its services at lowest cost. But when you are looking for web hosting service, reliability of the web host should also play an important factor. Support should be one of the major priorities while choosing a service. 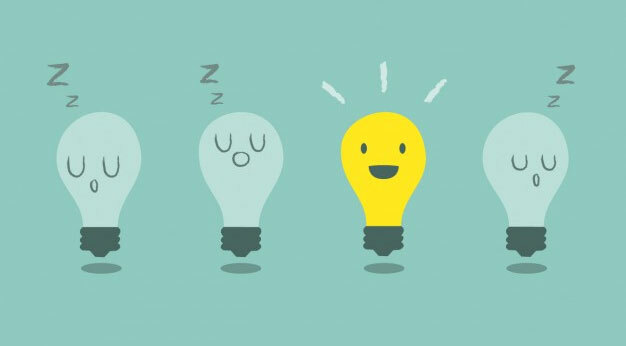 Today if you are not using a managed hosting solution then there is no regular monitoring of your servers from hosting provider. Since there is no regular monitoring of a server then in unmanaged hosting it may enable proactive exposure of violations, vulnerabilities or failures which will later cause serious disruptions or problems, which will be affecting the productivity of your business. Whereas if there are regular scans of your server then it keeps your site and server working efficiently. And in unmanaged hosting you need to have a special set of skilled IT staff to maintain your server, which will eventually increase your operational costs. In unmanaged hosting one of the first thing to note is that you will have complete and unfettered control over your server. And this is what most of the big company looking for. So as long as you have the good and advanced IT staff who are capable of handling the server, it could be a good idea. If you are planning to go with an unmanaged hosting solution for your business then you need to see that you will get poor security assistance. 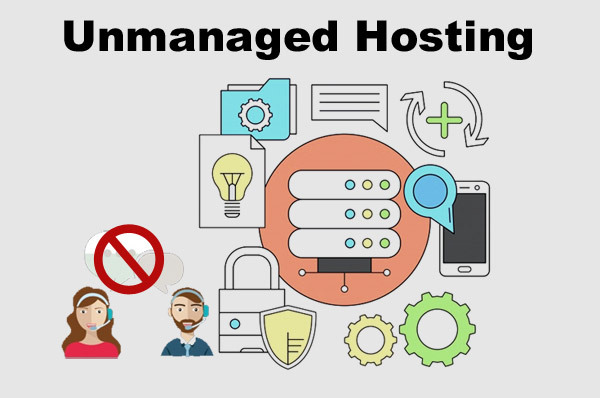 Because with an umanaged hosting solution you will not be provided with various tools which have the ability to handle server security-related issues. Moreover all the security-related issues will be taken care by an IT staff whom you have appointed to look after your server. Those who have little knowledge and experience will face some issue when it comes to controlling their control panel, working with the OS, and keeping the server safe from hackers and other trespassers. Not only that there are also a large number of potential issues that can crop up if you are running a server all by yourself. But if you are a specialist or have some knowledge or have hired a great IT team, then it could be a bit more trouble than it’s worth. When you have planned to choose an unmanaged hosting service, you might be paying less amount but you will have to perform many duties that you might not be aware of. The only help that you will receive from your web host would be in installing the operating system and in some cases replacing of the failed hardwares. These are only few things that you can expect from your Unmanaged web host. In other words all they will be providing you a server and all the hard work like installation of softwares and managing the servers needs to be performed by you. If you will choose our Managed VPS services our technicians will provide you with the best support whenever you require. But in case if you are planning to choose an unmanaged hosting services you are the one who will be responsible for your servers. For example you will be filling the security patches and fixing the error messages. In many cases an unmanaged web host will not even provide with a control panel or any server software. Hence if you don't have any technical knowledge its better not to take an Unmanaged hosting service. Many of the businesses look for an unmanaged hosting services. Thinking that it would be cheaper deal but the fact is truly reverse. Purchasing an Unmanaged hosting service might be a cheaper deal but that's not the end. You will have to hire technical professionals to troubleshoot the server related issues. If you will choose our shared hosting services you will be enjoying many benefits like repairs and support services that to at free of cost. A website downtime is the last thing that anyone would want for their business/website. When you choose an Unmanaged hosting services, you will not be receiving a 24/7 technical assistance. Hence you yourself will be managing the servers and thus concentrating less on your own business. This can result in the loss of your business and thus resulting in less revenue for your business. A secured website/business should be the most important priority for any business owner. When you will be taking an unmanaged hosting services you will not be provided with all the important firewall services to protect your business/website. so as to safeguard your website/data. These are some of the major drawbacks of an Unmanaged Hosting services. We here at HostingRaja provides the best Managed Hosting services at an affordable price. We provide an array of Managed hosting plans. Below we have mentioned the Managed Virtual Machine services provided by us. You can choose the best and the most appropriate hosting plan for all your hosting needs be it a Shared hosting, VM or a Cloud Service. Our expert technicians are always available to give you the best support that you require for your business/website. Hosting a website means that your websites files will be stored on a server which is connected to the internet. Once a website gets started with a hosting service people on the internet will be able access and read the files via the browsers they have installed in their Pc’s. A server has the same features that of a computer. But servers are much more powerful which allows different people to access the data at same point of time. A host can be defined as the service provider on whose server you will be able to store the websitefiles. Apart from providing space on their servers they also provide many other extra features like server management, regular backups, malware scanning and many other extra features. VM, Server Hosting and latest one is Cloud VM. capacity,server speed, features and reliability. Shared hosting is the most basic form of service. In a shared hosting service the website will be sharing the same resources with other websites on a single server. If you choose a dedicated host service you will be able to host the website on a server which will provided just for your website. When you choose a Virtual Private Server service, you will be provided with a compartment on a server. This compartment will be only provided to you. When it comes Cloud it can be called as the latest form of hosting service. It is the most popular type of hosting service. In this type of hosting service the resources are spread across different servers which can be utilized as per the requirements. A managed hosting service is always the better option for majority of the people. In any type of hosting service, what matters most is the server management. Its not easy for anyone to manage servers as many of us are not well versed with it. If you choose an Unmanaged hosting service you will you will have to spend extra labour and cash on server management itself. An unmanaged hosting service should be taken by those people who are tech savvy, and who can manage the servers by themselves. However unmanaged hosting services is a big risk as it could lead to a lot of fuss and complications. When you choose a managed hosting service from us, we will be taking care of the security of your website. Other features that web will be proving are regular updates, regular backups and other important aspects of server management will be taken care by us. When you choose an unmanaged hosting from us. You will not have to worry anything related to servers and you will be able to concentrate fully on your own business. If you choose an unmanaged hosting service, apart from setting up the server for your website you will not be provided with any other assistance by the hosting provider. If some issue arises on the server side you will hire costly technicians from outside to rectify this error. One thing that must be asked to yourself before choosing an unmanaged or managed hosting service. Is the type of server you will require a VPS or a Dedicated plans. At HostingRaja we have years of experience in proving the Managed and expertized hosting solution for our customers. Be it a Managed Dedicated solution or a Managed VPS sol. We provide the best and latest security features to our Indian clients at an affordable pricing. The more features you get with your dedicated package service, more convenience you can expect with the hosting services. So at HostingRaja, the features are exclusively designed which are not provided by any other hosting provider company. So you can easily rely on us for the security features provided as we are known for our reliable operations. By Now you must have understood the Drawbacks of Unmanaged Hosting Services. Whatever your hosting requirements are we make sure you are provided with the best services with Best Support Guaranteed.